1. A silk pillowcase so you can sleep in the lap of luxury — a luxury that just so happens to be totally hypoallergenic, help retain hair moisture and reduce frizziness, and is recommended by dermatologists to minimize fine lines. 2. 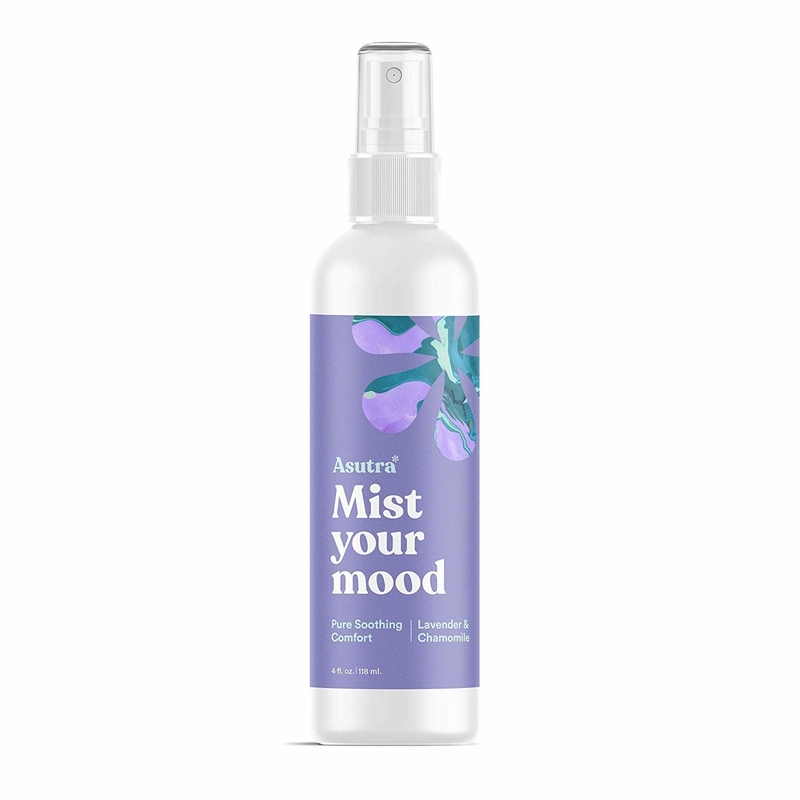 A relaxing lavender and chamomile linen spray designed with a gentle scent that'll help calm and lull you to sleep. Get it from Amazon for $14.20 (available in six scents). 3. A deliciously soft Harry Potter throw pillow cover — now your bed really will be where the magic happens. Get it from Pottery Barn Teen for $31. 4. A luxurious faux-fur blanket so you feel like you're living the high life — even if you only have an Amazon budget. Get it from Amazon for $28.98+ (available in five sizes, as a three piece set, and in 24 colors). 5. 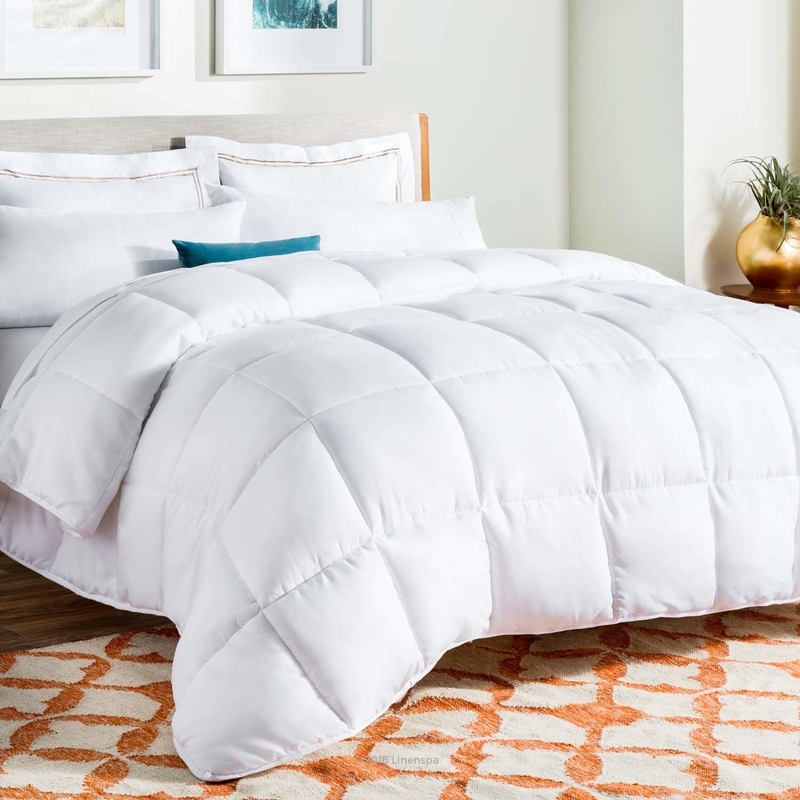 A three-piece, 1,500-thread-count, silky soft duvet cover for when you want to feel like you're sleeping at the Four Seasons without leaving the comfort of your own home. Get it from Amazon for $24.99+ (available in queen and king and in 12 colors, if you're looking for something that fits your full and twin beds check out this microfiber set). 6. A cooling down-alternative mattress topper that'll make your bed feel like heaven — better update your address to Cloud 9. Get it from Amazon for $49.90+ (available in twin-California king sizes, plus in XL twin and full sizes). 7. 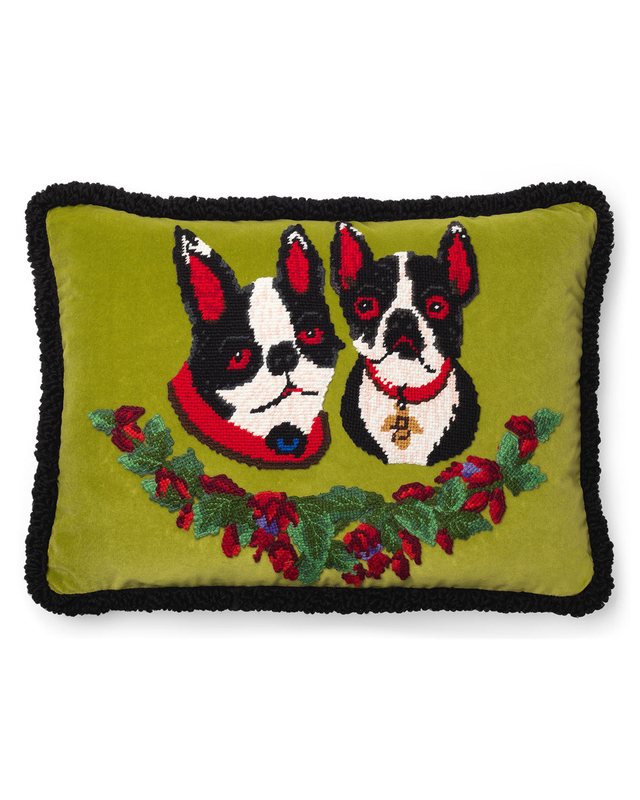 A cuddle-worthy throw blanket with matching pillow covers you might just have to buy two of — one for you and one for your pup who won't ever want to let it go. Get it from Amazon for $35.99+ (available in four colors). 8. 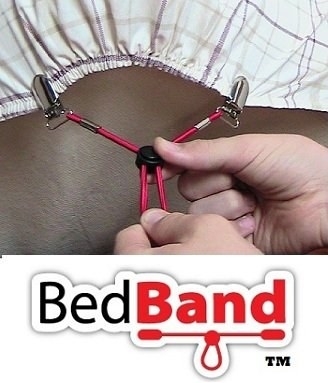 A pack of bed sheet suspenders to help you keep those pesky bed corners covered. Get a four-pack from Amazon for $12.99+ (available in standard and XL sizes and in three colors). 9. A set of wrinkle-resistant, hypoallergenic, deep-pocketed bed sheets — so if you thought you never wanted to get out of bed before, just wait 'till you try these bad boys. Promising review: "We love these sheets! They're very soft, luxurious, and the price is fantastic (beyond, really). They are great quality and last a long time. I decided to introduce soft, comfy sheets to my family. We were all overdue for new sheets. I have a picky 16-year-old, a girly 13-year-old, and an adorably snuggly 8-year-old. 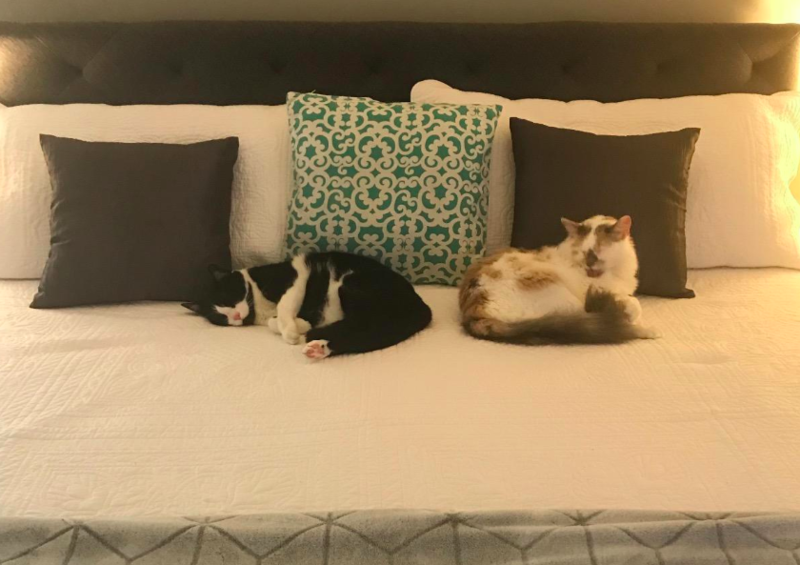 Each one loves their new sheets and can't wait to go to bed — bonus! Now I just wish our mattresses were as comfy as the sheets, I'm open for suggestions on that. I will be buying these again!" —Christi Y. Get it from Amazon for $25 (available in twin-California king, split king, RV queens, and in 44 colors). 10. A freakin' plush AF Ugg quilt set that'll finally let you bring the coziness of your favorite booties into bed with you. 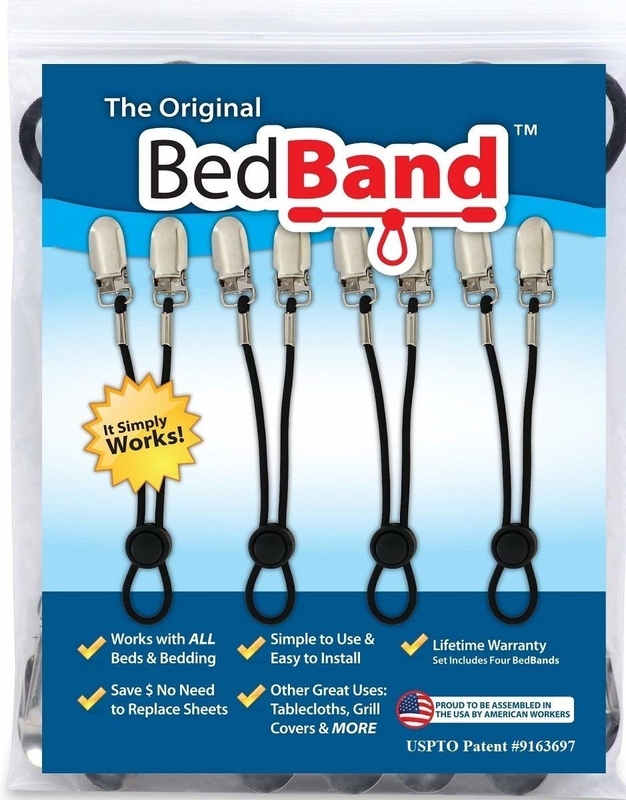 Get it from Bed Bath & Beyond for $59.99+ (available in twin-queen and in three colors). 11. A gorgeous iridescent throw blanket. I have no words for how beautiful this is and wish I could drape every inch of my home in one of these blankets! Get it from Pottery Barn Teen for $69. 12. 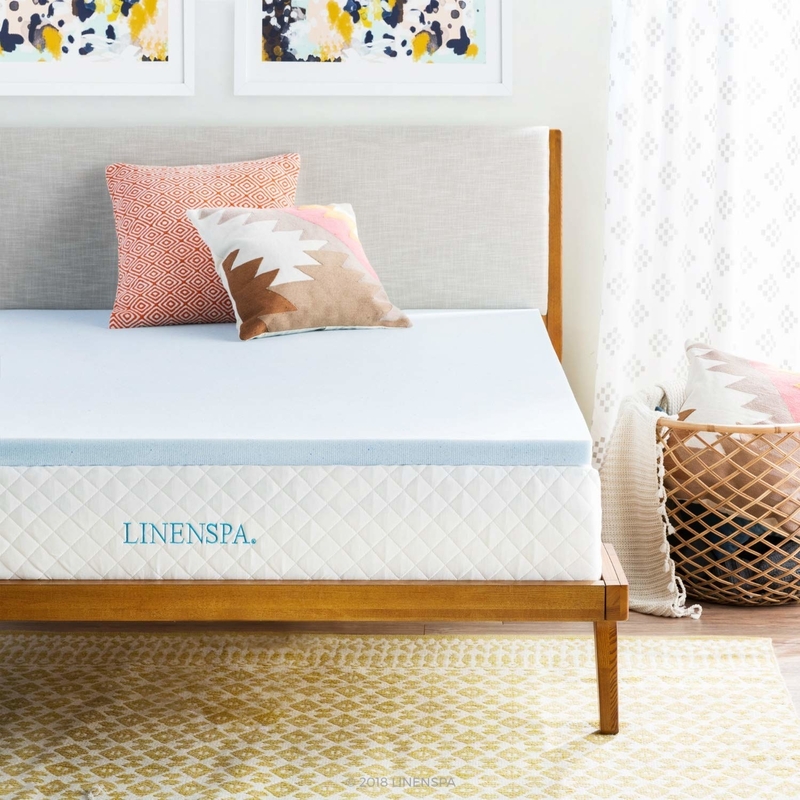 A 2-inch, gel-infused memory foam mattress pad that just might help your old mattress feel young again! Get it from Amazon for $38.49+ (available in twin XL and twin-California king). 13. A stain-removing, chemical-free linen wash formulated specifically to help safely clean and preserve your luxurious linens, cottons, synthetics, and blends — aka your sheets. Get it from Amazon for $33+ (available in seven scents). 14. A hypoallergenic shredded memory foam pillow designed with a removable cover (for easy washing) and to give you the best night's rest you've ever had. 15. A glow-in-the-dark canopy net that'll have you counting stars instead of sheep. Get it from Amazon for $24.99 (or if you're just looking for a classic canopy check out this one). 16. A set of gorgeously lush velvet pillow covers to lend a little color and texture to any room in your house. Get a pack of two from Amazon for $12.99 (available in five sizes and in 27 colors). 17. A fluff-inducing, softness-creating, perfectly scented fabric conditioner that'll decrease drying time, reduce wrinkles, and ease ironing (if you're an ironing-your-sheets kind of person). 18. A light gray linen platform bed frame that's super easy to assemble and very versatile so it can go with nearly any decor type. Get it from Amazon for $176.24+ (available in twin-king). 19. 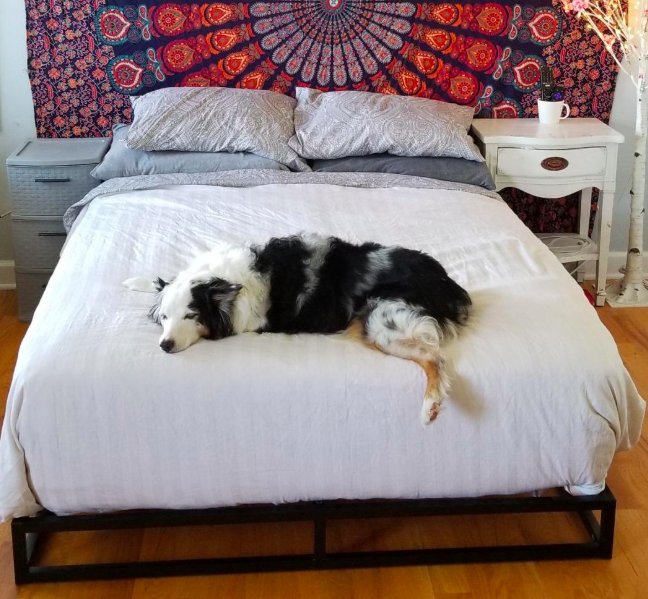 A delightfully comfy and affordable memory foam mattress, because it's time you replaced the mattress that you stole from your roommate back in Boulder. Get it from Amazon for $76.97+ (available in 6- to 12-inch thickness and in narrow twin, twin XL, twin, queen, short queen, king, and California king). 20. 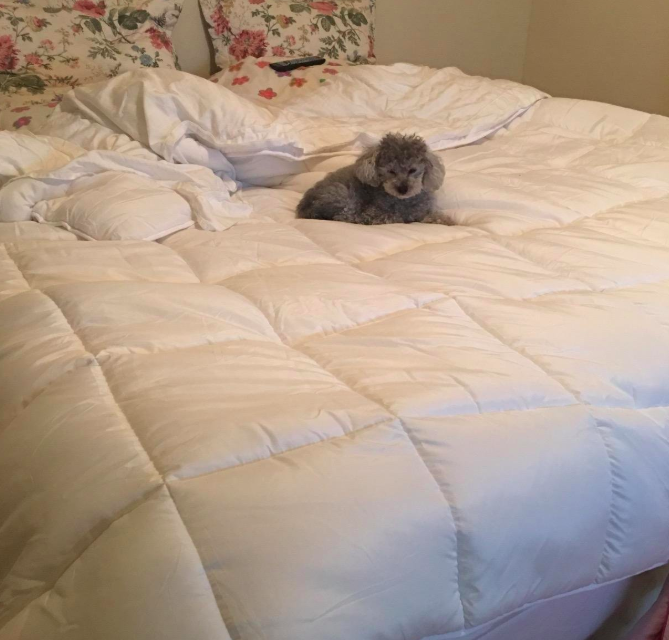 A super-soft fiberfill quilted pad cover designed with a vinyl back and elastic to make sure it stays in place while it helps to preserve and protect your mattress. Get it from Amazon for $22.99 (available in twin XL and twin-California king). 21. A machine-washable, hypoallergenic, microfiber-filled comforter that'll send you to the dentist because you're about to have some very sweet dreams. Get it from Amazon for $29.99+ (available in twin XL, oversized queen and king, and in standard twin-California king sizes). 22. A pack of reusable wool dryer balls designed to help you get your sheets the softest they can possibly be and cut down on static. Get a pack of six from Amazon for $16.95. 23. 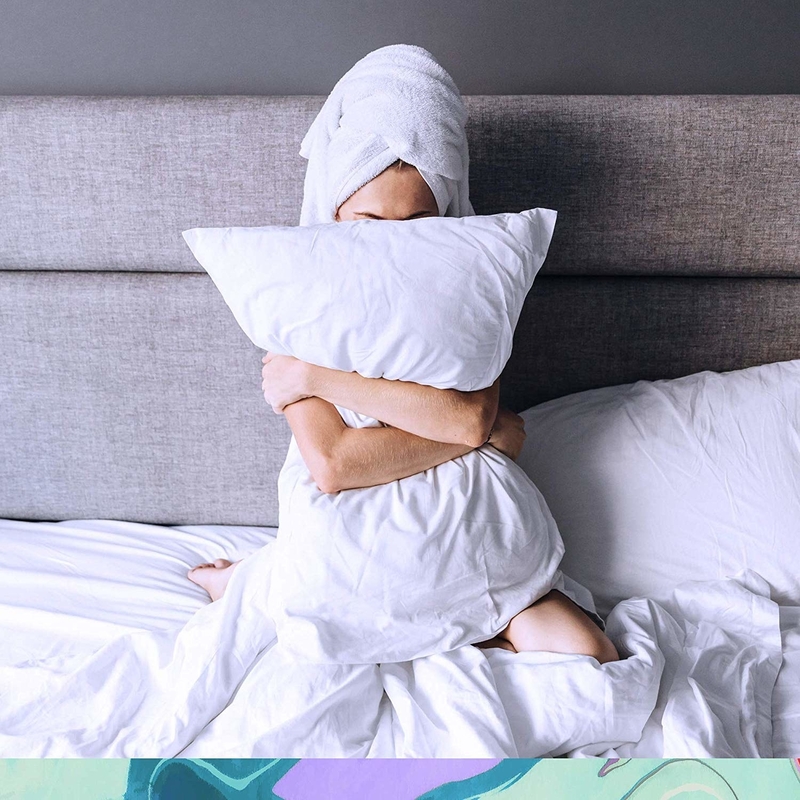 A set of luxuriously soft sheets that are so amazing, so comfy, so fantastic, they have over 35 THOUSAND five-star reviews on Amazon — also I have these and they're f#@%ing awesome. Promising review: "These sheets are super soft and very nice. And honestly, you can't beat the price. And I know If I went to the store today. I couldn't find any to beat these anyway. $30 and a good night's sleep. Yeah, I think these, I might just keep. 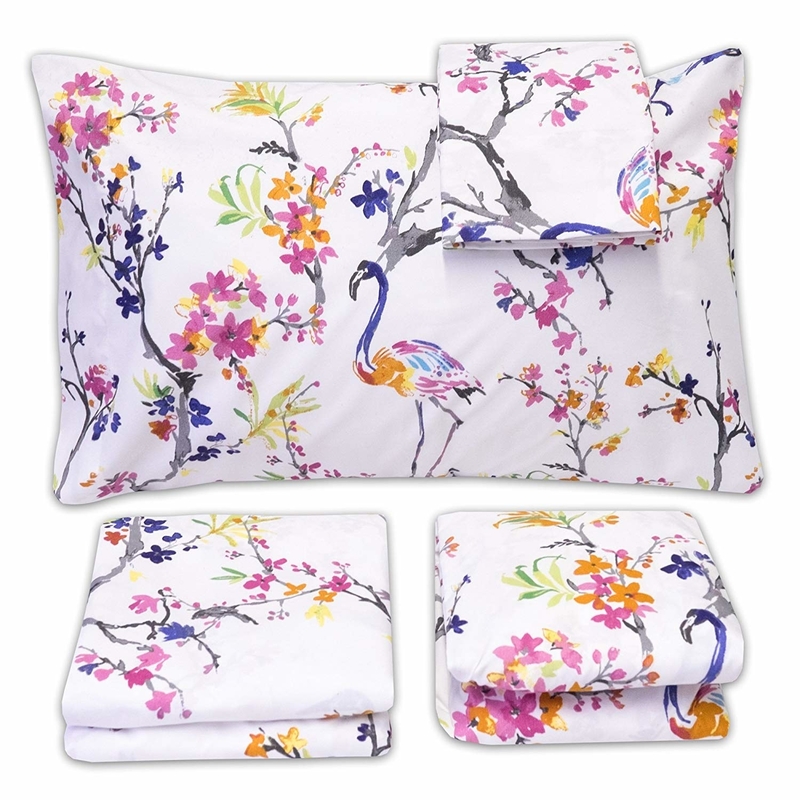 Flat sheet, fitted sheet, pillowcases for you. Just go ahead and treat yourself to some too. I hope you enjoyed my rap. Now brb I'm going have a quick nap. Take a deep breath and discover some beats. And if you're looking for me? Get it from Amazon for $24.70+ (available in twin XL, split king, twin-California king, and in 39 colors/patterns). 24. A fitted hypoallergenic and waterproof mattress protector for when your breakfast-in-bed feast gets a little crazy. Promising review: "My wife went into labor a year and a half ago and that labor went very quickly....so quickly that she ended up giving birth on our bed in the presence of EMTs. We then went to the hospital where I stayed overnight with my wife and new baby girl. The next day, once things had calmed down, I went home to clean up before they came home. For those who have witnessed or gone through childbirth, you know the mess I arrived to. For those who haven't, suffice to say there are many different types of fluids and a lot of them. Let's just say I was fully expecting to be purchasing a new mattress. To my amazement, once I'd bagged our sheets and this mattress pad, our mattress was perfectly fine. I bought another one immediately and will continue to use this brand as long as it exists. I challenge anyone to put it through a more rigorous test and I'm positive it can stand up to some sweat or your child's pee in the middle of the night. I could have posted a pic but it's better for everyone if I don't." —Kevin C.
Get it from Amazon for $24.95+ (available in twin-California king and in twin XL). 25. A super-cozy cable-knit comforter set that feels like sherpa material, because who says you need another person when you wanna cuddle? Get it from Bed Bath & Beyond for $99.99+ (available in twin and king in two colors). 26. 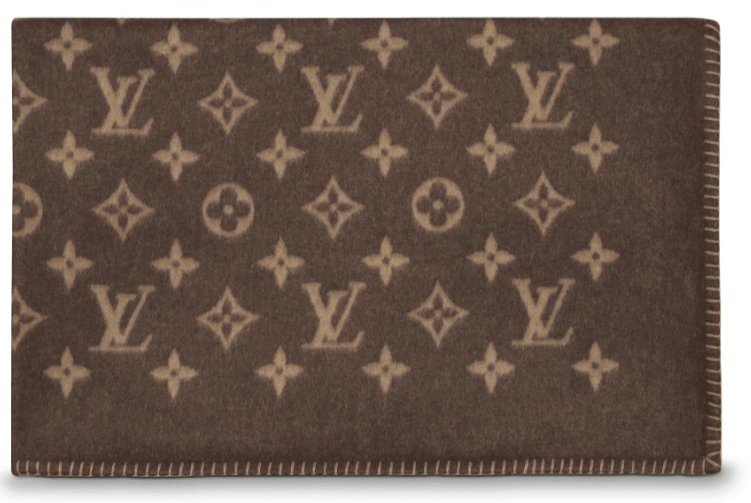 A faux-mink fleece blanket — truly the best, softest, most comfy blankets in the world, and if you grew up in a household like mine, then you know what's up. Get it from Amazon for $42.99 (available in six designs). 27. A microfiber pinch-pleat comforter set that just looks way fancier and more expensive than its price tag suggests. Get it from Amazon for $42.53+ (available in sizes twin-king and in five colors). 28. A lightweight microfiber blanket for when you feel like curling up with your favorite book about Arctic exploration but don't want to actually feel like you're there with the characters. Get it from Amazon for $16.99+ (available in four sizes and 13 colors). 29. A splurge-worthy set of organic cotton sheets so soft you might actually think you're sleeping on a bed of cotton balls. Get them from Boll & Branch for $210+ (available in sizes twin XL, split king, twin-California king and in two colors). 30. A luxurious four-piece faux-fur comforter set to help make your entire room look like it's actually inside of a mansion. Get it from Amazon for $54.99+ (available in full/queen and king and in three colors). 31. A showstopping, mermaid-inspired upholstered platform bed frame, because you can't actually live under the sea — despite what Sebastian may have told you. Get it from Pottery Barn Teen for $699+ (available in full and queen). 32. Or just say f#@% it and blow your rent on some fancy accessories that'll literally have you sitting in the lap of luxury while you eat your ramen from bed. 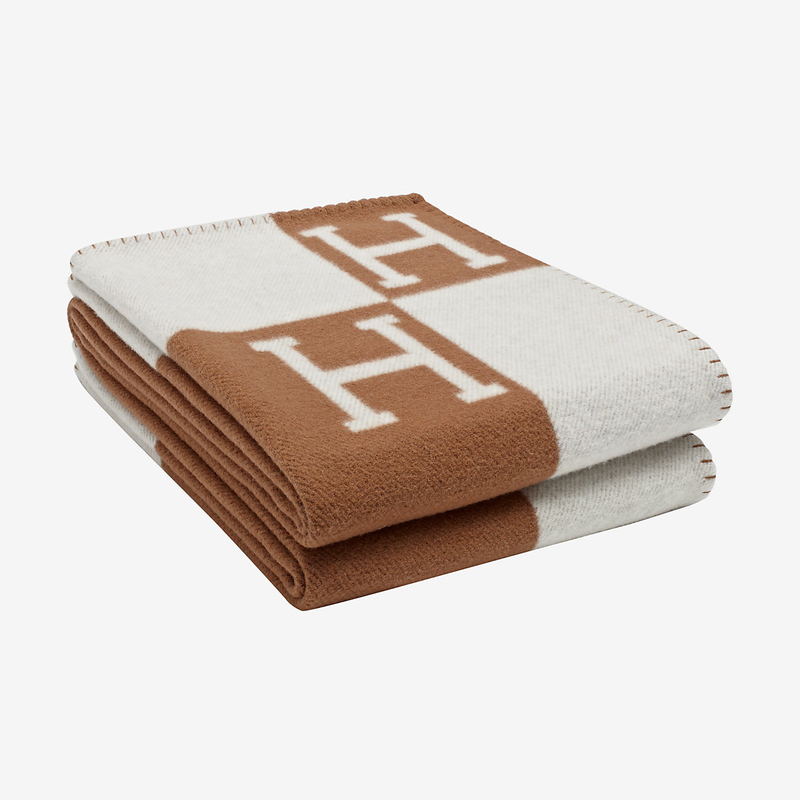 Get the cashmere and wool Hermes throw blanket for $1,525 (matching pillow also available), the needlepoint Gucci throw pillow from Bergdorf Goodman for $1,650, and the Louis Vuitton monogrammed blanket for $1,420. Now you'll be like a bird — and not 'cause you wanna fly away but because you just made the best damn nest the world will ever know.